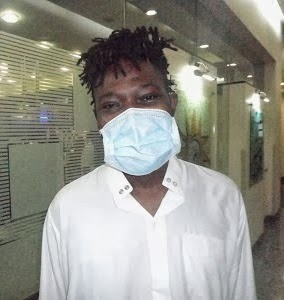 OJB Jezreel discharged from Indian hospital after Successful surgery,to head home soon. In a statement he thanked well meaning Nigerians for standing by him and helping to get the treatment he needed. Greetings from far away India! I am sure this note from me will catch you with a little surprise. I have been reading a lot of news about ME being published on Facebook, Twitter, LinkedIn and different Blogs by my good friends. I thought I must take out a quick moment and let you know that I am officially discharged today from the hospital, after a successful Kidney Transplantation Surgery, by God’s Grace. I would like to take this opportunity to thank all Nigerians for your prayers and good wishes, without which all this would not have been possible. I also take this opportunity to thank my friends, fans and family for all the love, prayers and good wishes for a Speedy Recovery!! Be home with you soon……. 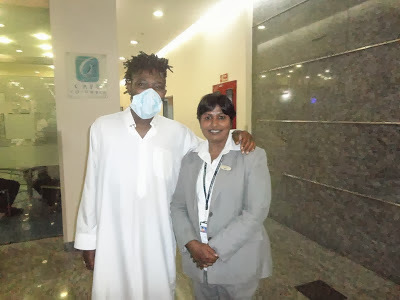 Your very own OJB Jezreel"
Awwwww so happy for him health is Indeed Wealth! Wishing him a wholesome recovery.